This event is for anyone interested in what science is going on in Rochester. 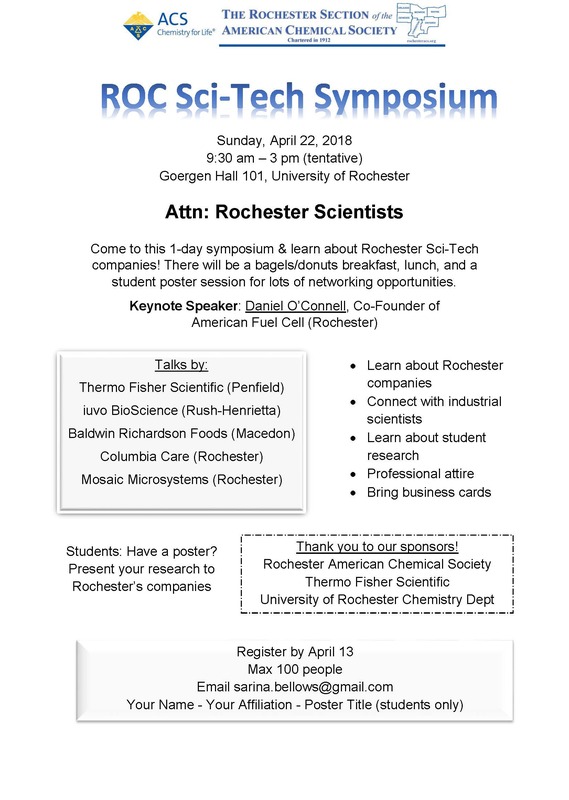 Students, professionals, and job seekers are welcome to attend this one day symposium to learn about Rochester Sci-Tech companies! There will be bagels/donuts breakfast, lunch, and a student poster session for lots of networking opportunities. Contact sarina.bellows@gmail.com for further details. Present your research to Rochester’s companies by emailing Sarina Bellows with your name, affiliation and poster title.